ThisJune, two IJAN U.S. organizers attended a gathering held at Big Mountain/Black Mesa that focused ondecolonization. Big Mountain/Black Mesa is a portion of the ancestralhomeland of the Diné (Navajo) people who since the 1970’s havebeen resisting relocation by Peabody Coal and the U.S. Government overcoal extraction. Thegathering, organized by Black Mesa Indigenous Supportin collaboration with the community of resisters on Black Mesa,sought to lay groundwork for joint struggle by bringing together organizationsworking on the front lines of anti-colonial struggles, as well as alliedorganizations. This year, several large community Seders (a ritual meal in observance of the Passover holiday) were held using the IJAN Liberation Haggadah (a program for Seder). Many other people held smaller gatherings in their homes using this resource. Passover is traditionallya celebration of the Exodus story, and the IJAN Liberation Haggadah draws on themes that grapple with the concept of liberation as presentedin religious text as well as secular traditions that celebrate the human commitment to liberating ourselves. In the San Francisco Bay Area, approximately 200 people attended a Seder which raised money for IJAN and the Stop the JNF Campaign. Hamilton, Ontario, had two Seders, with a total of about 90 people in attendance. In Atlanta, about a dozen people attended a Seder in an IJAN member’s home. These Seders were a part of the cultural work of de-linking Zionism and Judaism/Jewish identity. Consistent with the project of rejecting Jewish isolationism, all Seders were well attended by people who are not Jewish. Said one participant in the Hamilton Seder, "Theenvironment, the mix of people and the atmosphere were moving and inspiring." A participant in the Atlanta Seder reported, "It was an intimate space, and people really opened up. We talked about how to confront power. We laughed and sang and studied together. We parted witha prayer and a challenge, "Next year, may Palestine be free." Posted June 1st, 2013 by ijan & category Uncategorized. We urge you tore-instate Bradley Manning as Grand Marshall for this year’s Pride march. 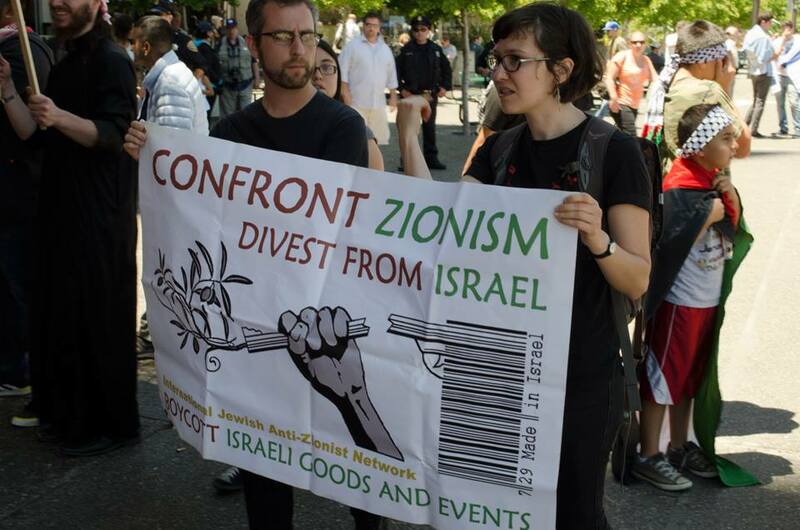 As anetwork of Jewish people committed to the end of all occupations and war and tohuman emancipation for all people – particularly those most impacted byoppression and repression – we commend Manning’s actions. As a network committedto the historic struggles of queer and transgender people, we also askthe Board to remember the lives and courage of the fierce transgender men andwomen, the queens and dykes, many of whom were also people of color, who hadthe courage to stand up against the repression and violence against their communitiesby the police. This led up to theStonewall uprisings in 1969, a significant foundation for the LGBTTQ movementand what Pride itself is built on. We reject theunfounded claim that Manning’s actions endangered soldiers’ lives. We remindthe Board that from 2003 to 2012, an estimated 180,000 Iraqis died as a resultof combat and an estimated 650,000 Iraqis died of war- and sanction-relatedcauses. More than 4,800 U.S. troops have died in Iraq since 2003. Certainlyamongst all of those killed in Iraq as a result of the aggression of the U.S.and its allies, many were queer. OnMay 12, 2013 the International Jewish Anti-Zionist Network of the Twin Cities(IJAN-TC), along with several other community and solidarity organizations organizeda film showing of Where Should the Birds Fly and brought Fida Qishta to Minneapolis for a discussion. Posted February 18th, 2013 by ijan & category Backlash Defense, Uncategorized. A Community Speak Out and Forum was held in response to Pamela Geller’s racist ad campaign, carried on SanFrancisco municipal buses this summer. The event was hosted by theCouncil on American Islamic Relations (CAIR-CA), Asian Law Caucus (ALC), ArabResource & Organizing Center (AROC), and Arab Cultural & CommunityCenter (ACCC). This community forum was intended as a space for Arabs,Muslims, and their allies to express their concerns to city officials,including the San Francisco Human Rights Commission, about the harm which hasresulted from the Geller ads and to send the message that the community willnot tolerate Islamophobia and racism. The event was standing roomonly, and those in the audience included members of municipal institutions(e.g. 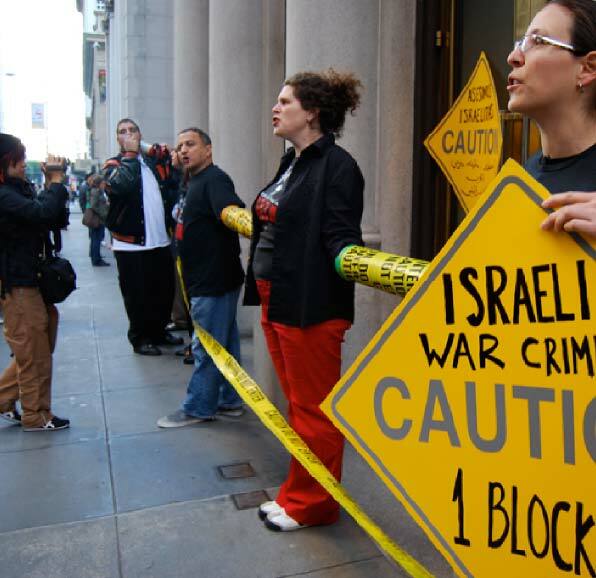 the Municipal Transit Authority Board, San Francisco Board ofSupervisors, San Francisco Department of Public Health) and community members,groups and organizations, such as Students for Justice in Palestine, PeopleOrganized to Win Employment Rights (POWER) and the National Lawyers Guild. Speakersincluded Dr. Hatem Bazian, Zahra Billoo, Dr. Rabab Abdulhabi, and HusamEl-Qoulaq, as well as a MUNI bus driver who refused to drive his bus with thisad on it, Arab youth, and leaders of grassroots organizations.